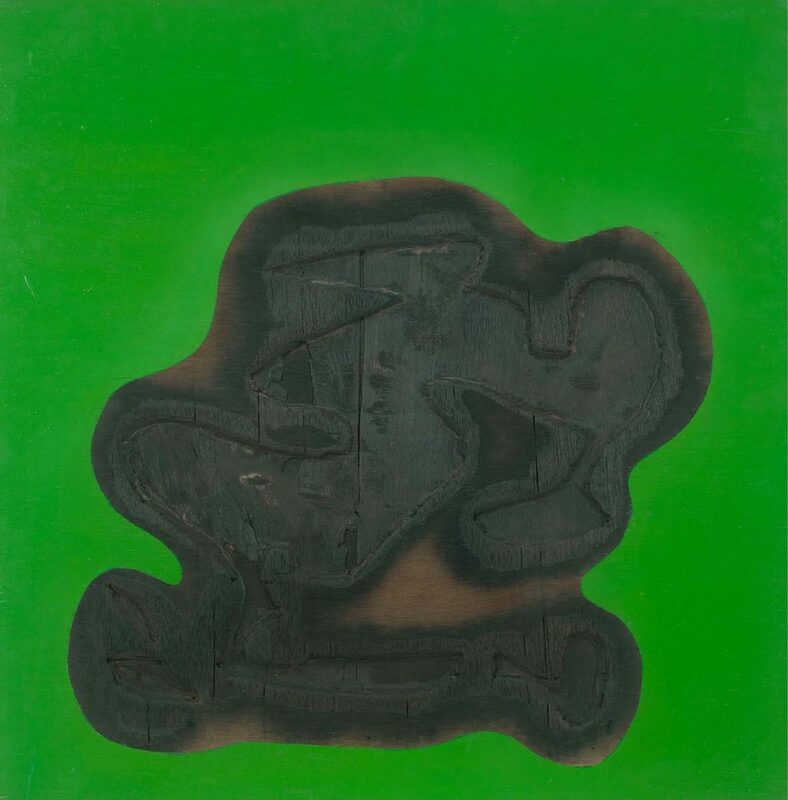 Jeram Patel was one of the artists who rebelled against modernistic approaches and changed the Indian art scene of the Sixties by formulating a new visual identity and method of abstraction. Born in Sojitra, Gujarat, Patel studied drawing and painting at the Sir J. J. School of Art, Bombay, from 1950-55. He also studied typography and publicity design from 1957-59 at Central School of Arts and Craft, London. With J. Swaminathan and other artists, he formed Group 1890. 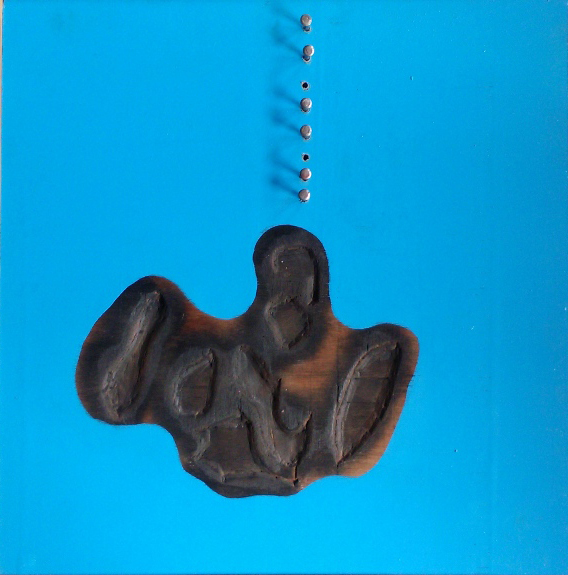 Jeram Patel has enriched contemporary Indian art with his unusual works done mainly in three mediums – blowtorch on wood, black and white drawings, and paintings on board and canvas. The images he creates do not pertain to the realm of the so-called real; they are, in fact, real in themselves. To call them surreal would also be a fallacy. 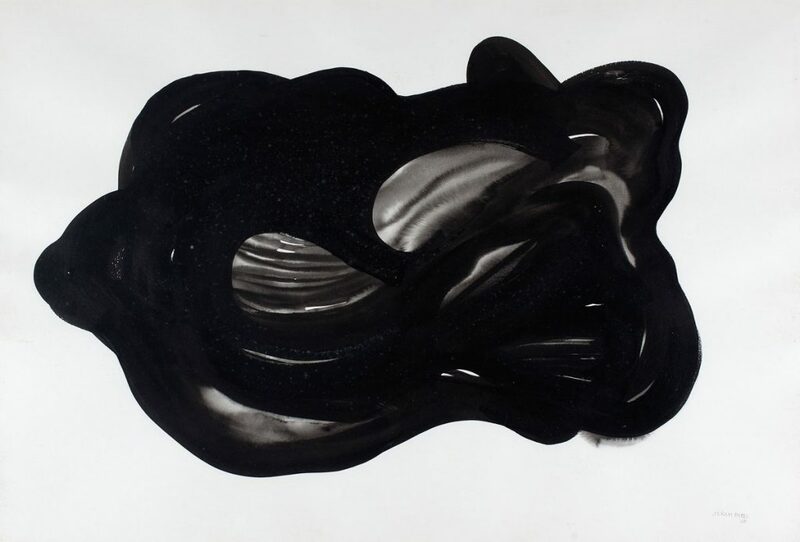 This is what makes Jeram Patel’s works fascinating, evocative and visually potent. He works freely and yet retains control over all the details and the material he employs. 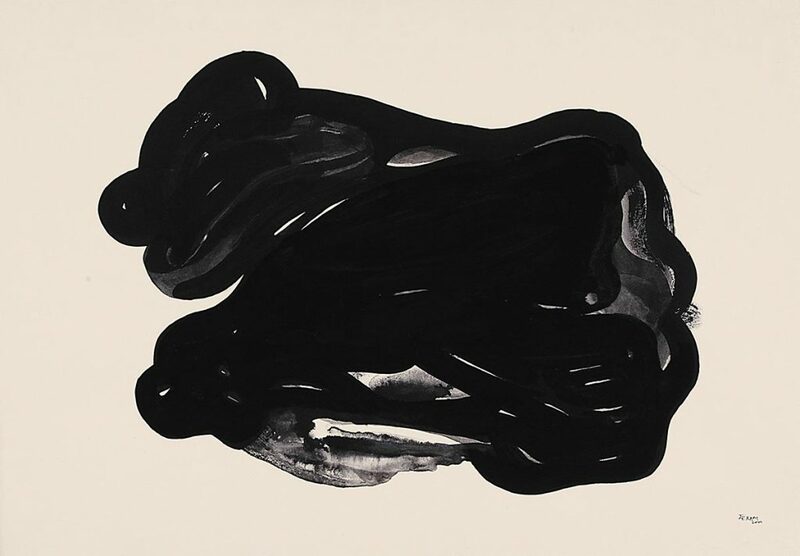 What is striking is the sensuous use of colour in sharp contrast with the rough texture of the burnt area that acts as a hollowed shape. Patel has held one-man shows in London, New Delhi, Kolkata and Mumbai and has represented India at various international art festivals. 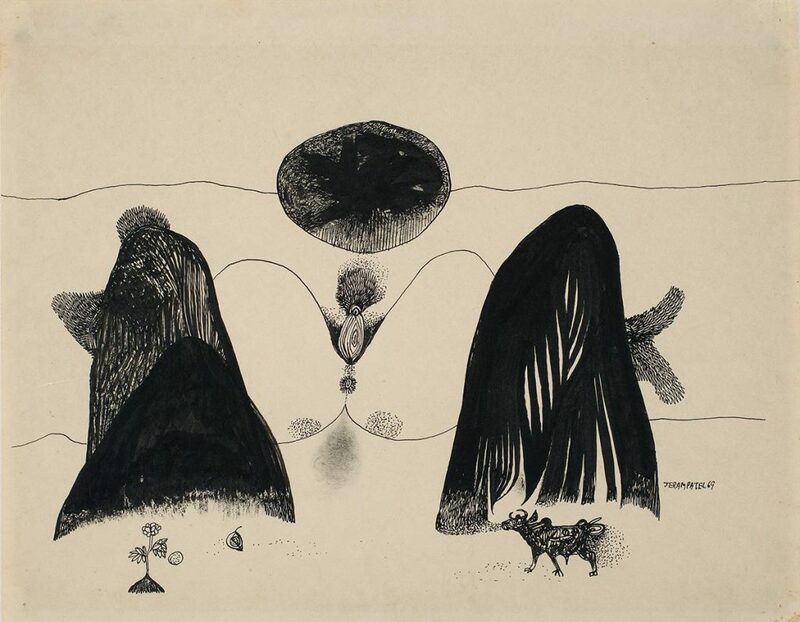 His works are featured in prestigious collections including those at the National Gallery of Modern Art, New Delhi. 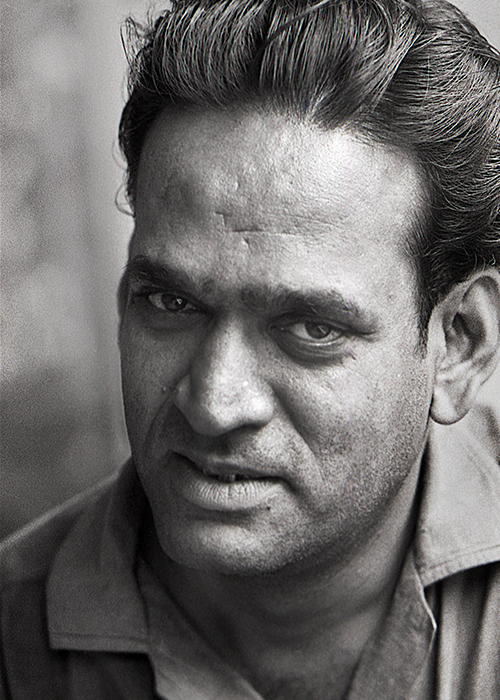 Jeram Patel has been a recipient of the National Award from the Lalit Kala Akademi in 1957, 1963, 1973 and 1984 and the National Award for Design in 1976.